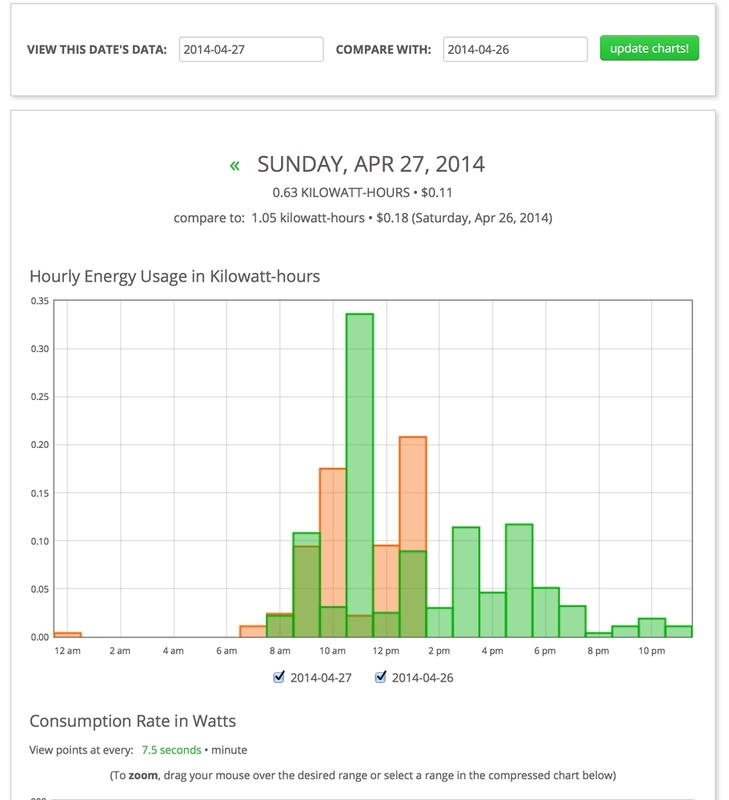 Last weekend I installed a Wattvision ("real-time energy monitoring sensors") in my house. It's so you can measure how much electricty your house is using. In real-time. 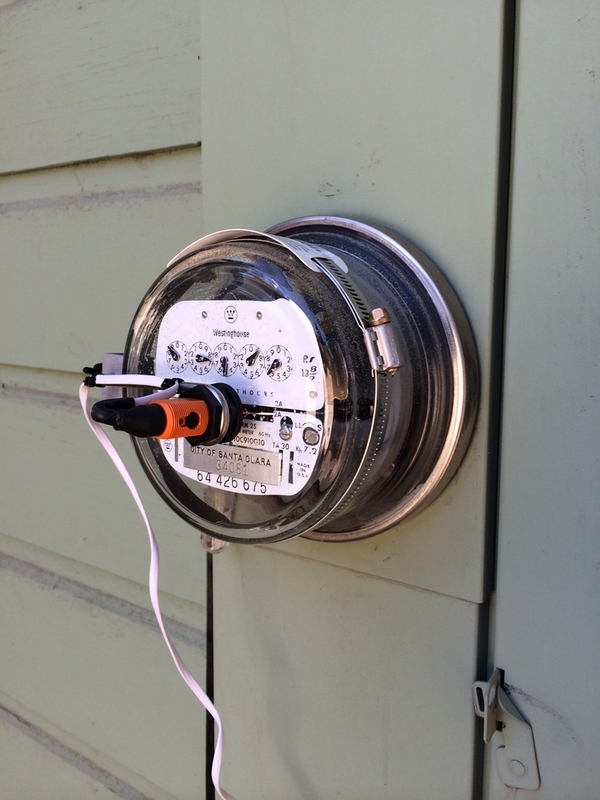 1) A camera sensor that is attached to the electricty meter. It stares at the rotating disk all day. 2) A little router/sensor thing that is connected to the camera and connects, by Wi-Fi, to your home router. Then, the little router/sensor sends all your measurments to wattvision.com's servers. After that, I sign in to Wattvision (using my Google account) and there I can get all the statitics about my house electricity. Simple, ah? Wattvision started as a Kickstarter project two years ago and since I sponsorered that project they sent me a kit now that it's fully tested and working. Yay! The installation was almost jokingly simple to set up! It had that lovely "just works" feeling to it. 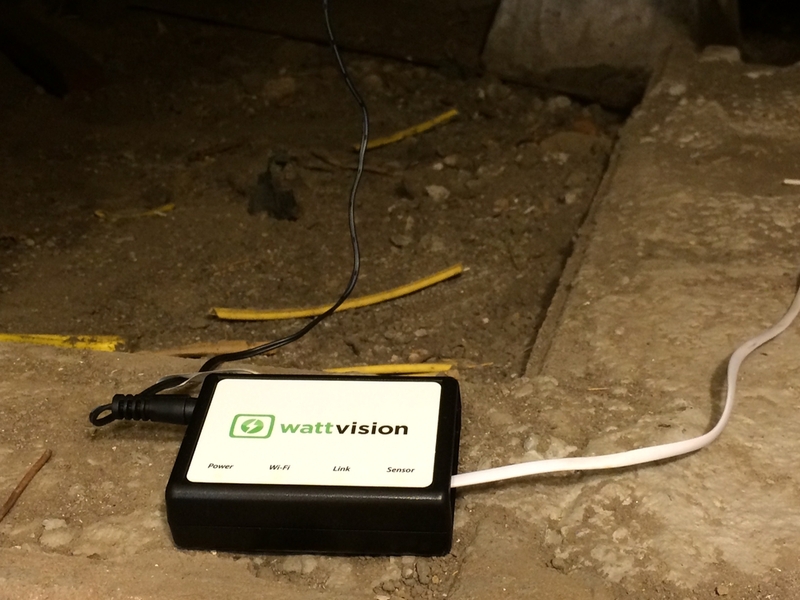 The only challenging part was to pull the sensor wire from the corner of the house to a good spot in our basement. My wife, who is much shorter than me, crawled under our crawl-space and helped me hook it all up. I was just so impressed with the instructions. They were very well written. 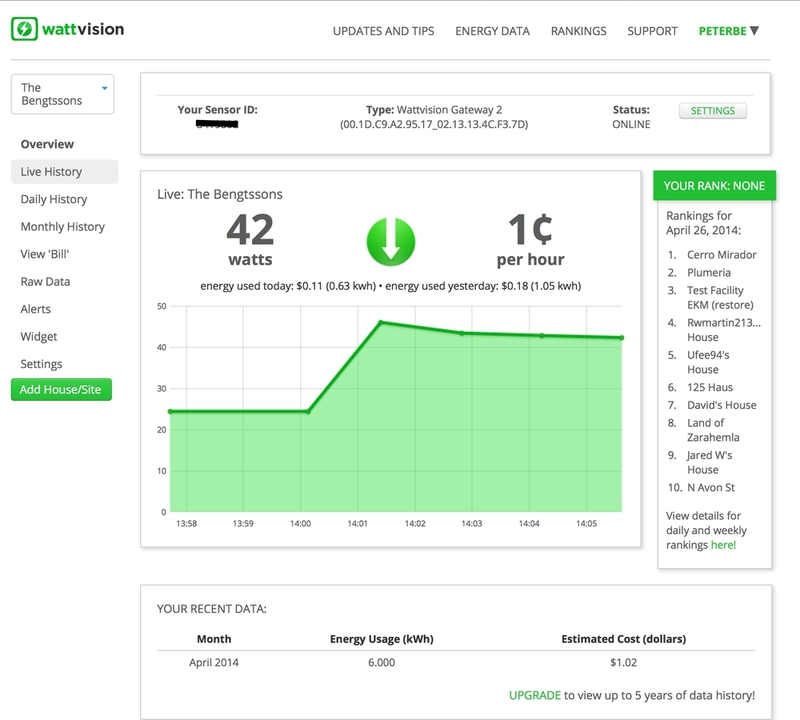 Now that it's set up, you get all your statistics and graphs by signing in to wattvision.com and it works great on mobile as well. I have to admit, at this point, I really haven't understood what it all does and what it all means. Besides, because I only installed it a week ago, I don't yet have enough data to compare current usage with historic usage. By the way, you can download your data in CSV form too. The sexiest feature is to be able to sit and watch your graph and then you deliberately switch something on in the house and you can see the graph "spike". Obviously the height of the spike depends on what you're switching on. For example, an LED light I don't even think it registers (admittedly, haven't tested that yet). I think this is the key reason to have Wattvision; to get an insight into what in your household causes the most energy consumption. Having said that, we're not going to stop taking showers. You simply can't have data analysis without data collection. Also, if there's anything you want to trim, such as body fat, awareness is usually a very good weapon. I don't know if I'll be checking back into the statistics very often. The novelty might just wear off after a while. We'll see. I haven't actually started looking at the numbers very much. Yet.